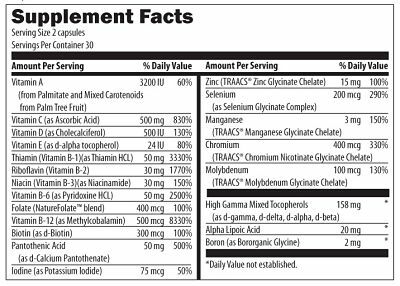 Easy to use Twice Daily Supplements while you are on the ITG Diet. Just carry in your purse or briefcase. No need to count, sort or measure. One to be taken at breakfast and once in the evening with your dinner. 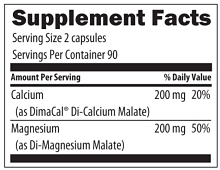 Each packet contains on each of the following ITG supplements, 1 Multi capsule, 1 Omega soft gel and 1 Calcium Magnesium capsule. The packets are a perfect foundation for people just getting starting point for getting on a weight loss program, other health regimens or for comprehensive maintenance. Come in 30 day packs or 14 day packs. water, camel (natural color) (shell ingredients). 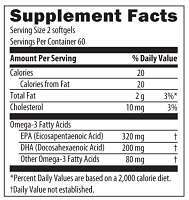 Contains fish: Manufactured from anchovy, herring or sardines.